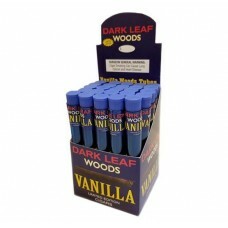 When you're ready to relax, light up a Dark Leaf Vanilla Woods Cigar. The aroma, smooth taste and rich flavor make Vanilla Woods a unique and pleasurable smoking experience. Dark Leaf Cigars - for unbeatable flavor and a taste that you will be sure to enjoy and remember.